The shoot was the morning after he had directed a performance of August Wilson’s “Fences” at the Des Moines Social Club. Set in the 1950s, the Pulitzer Prize-winning play focuses on the story of a 53-year-old African-American man who struggles to provide for his family. The sharp and unsettling contrast made Martin realize he wanted to focus on directing and producing instead of performing—“actors are dispensable, with little power”—as well as on being involved in theater projects he found meaningful. His path since then has reflected that resolve: Last summer, Martin produced Charles Fuller’s “A Solider’s Play;” like “Fences,” it drew raves from critics and audiences. Those successes spurred the development of Pyramid Theatre Company, which was established last August with Martin in the role of executive director. The company will launch its inaugural season with “A Raisin in the Sun” July 8-17, followed by “Hooded, or Being Black for Dummies” July 21-31. “So much of African-American history is American history and so much American history is African-American history that if we don’t have these stories, we don’t know ourselves as Americans,” McIver says. Though Martin didn’t foresee it then, the vision for Pyramid took root when he was 11 and saw August Wilson’s “The Piano Lesson,” performed by the Arkansas Repertory Theater in Little Rock, Ark. The show mesmerized him. “It was the first time I saw people onstage who looked like me and who talked like me,” recalls Martin, who grew up in Little Rock. His experience seeing “The Piano Lesson”—along with the influence of his mother, who was involved in the local urban theater movement—stimulated his interest in pursuing performing arts. By age 12, he had an agent and a development contract with the Nickelodeon network. “From age 12 to 15, you name it, if there was a role for a chunky black kid, I auditioned,” he says. His distress intensified in his sophomore year when a close hometown friend, Victorya Van-Pelt—whom he had persuaded to join him at Drake that year—suddenly died. 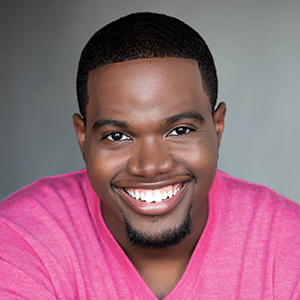 As he dealt with his grief, he took a two-year break from performing, returning to the stage in 2011 for a Des Moines Community Playhouse production of “Hairspray.” The following year, he graduated with degrees in theater and public relations. Though his acting credits continued to pile up—he’s also acted in shows and musicals for StageWest Theater Company, the Des Moines Social Club and other companies—he was drawn to directing and producing, with encouragement from McIver as well as from Scott Siepker, a Des Moines filmmaker, actor and producer best known for his “Iowa Nice Guy” character. The success of “Fences” spurred McIver and Martin to collaborate on “A Solider’s Play.” Though the show was a success, Martin says it exhausted him, partly because he received a death threat. Police were alerted, but Martin didn’t share the threat with the cast. “I was terrified, but I wouldn’t cancel the show,” he says. “They ultimately wore me down,” he adds with a laugh. Indeed, the leadership of and collaboration among the other company members have been key to the launch of Pyramid over the past year as Martin has spent most of his time in Chicago, serving as an apprentice to the general manager at the Goodman Theatre. This fall, he’ll start an MFA program in directing at Brown University in Rhode Island. Julie Burroughs delivers farm-to-table dining to the high chair set. 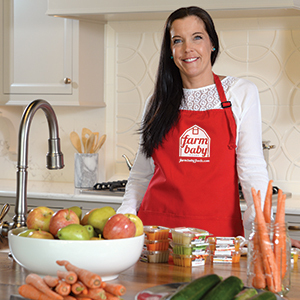 Her Des Moines-based baby food business, Farm Baby, provides a premium product for parents who crave fresh, all-natural options for their children but don’t have the time or inclination to do the cooking themselves. “I call (Farm Baby) the healthy frozen pizza of baby food,” says Burroughs, 41, whose business began after she struggled to find a service that would provide simply prepared purees for her twins. Fresh baby food should be consumed or frozen within 72 hours, and she knew she wasn’t alone in the struggle to keep ahead of her kids’ appetites. Already the mother to a teen and a toddler, Burroughs was looking to outsource the steaming and mashing and stumbled upon a gap in the market. It wasn’t long before she was renting space in a commercial kitchen and making deliveries. After learning about the elaborate processing required to make grocery store baby food shelf-stable and the low-grade ingredients that go into even organically labeled pouches, Burroughs got angry. She balked at the idea that scaling up would mean sacrificing quality or transparency. “I didn’t want there to be any question about what you were feeding your baby,” says Burroughs, who channeled her concern into cooking for the masses by launching Farm Baby in June 2014. She delivers the food directly to local moms and also sells at the Downtown Farmers’ Market. This past spring, Hy-Vee began stocking fresh and frozen Farm Baby foods in nine stores. The food also can be ordered through the Farm Baby website (farmbaby.com). Curled up on the couch of her South of Grand home, Burroughs shares her story of accidental entrepreneurialism with the confidence of a businesswoman who has set her sights on growing into a national brand—and the salty sense of humor you appreciate from a girlfriend who totally embraces the crazy juggling act that parenting inspires. Burroughs’ rural roots run deep. She lets slip a slight smirk when asked for her recipes, which are simply apples or peas or some mix of produce and water—a no-brainer for someone who grew up snacking from the garden on her parents’ Danbury, Iowa, farm. She knows not everyone can afford Farm Baby, which costs $3.50 to $4 per serving. So her business has evolved to include workshops that teach moms, at places like the Young Women’s Resource Center, how to prepare their own food. Writer Brianne Sanchez is the community relations manager at Des Moines University. She moved to Des Moines in 2007 and likes to call herself an “Iowan by Choice.” She’s raising two Iowa natives. “A Raisin in the Sun,” by Lorraine Hansberry, July 8-17, Harman Fine Arts Center at Drake University; directed by Tiffany Johnson. “Hooded, or Being Black for Dummies,” by Terrance A. Chisholm, July 21-31, Kum & Go Theater at the Des Moines Social Club; directed by Jiréh Breon Holder. 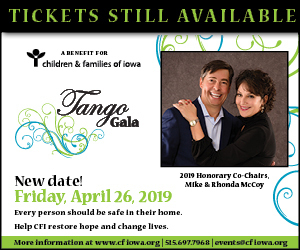 For details and tickets, go to pyramidtheatre.com.